Before I rifle through the game files in vain, I thought I had better check: Has anyone compiled a list of which PORTRAIT\*.M3D files are used for each unit? I couldn't see anything on the wiki. Not 100% sure but will investigate further. What I've recently been discussing with fellow modders, is to hopefully amend our Dark Omen to Blender Import/Export tool that successfully loads terrain maps (.m3d) but sadly can't load Dark Omen Portrait Heads (also .m3d), as I'm guessing it just expects a map information etc.. However, Crash's latest tools, can load .m3d heads and maps into his own 3d engine, so shouldn't be too difficult to fix. The original Dark Omen map viewer tool - New Boids also can display heads and maps. Once we can add heads then I can use the excellent Call of Warhammer Total War 3d models, for their heads and face textures, to match up with the sprites generated from their 3d models. I hit this problem whilst making my Giant sprite, as no other head would do. Ogre was closest I think but jaw bone wasn't big enough! What I've recently been discussing with fellow modders, is to hopefully amend our Dark Omen to Blender Import/Export tool that successfully loads terrain maps (.m3d) but sadly can't load Dark Omen Portrait Heads (also .m3d), as I'm guessing it just expects a map information etc.. 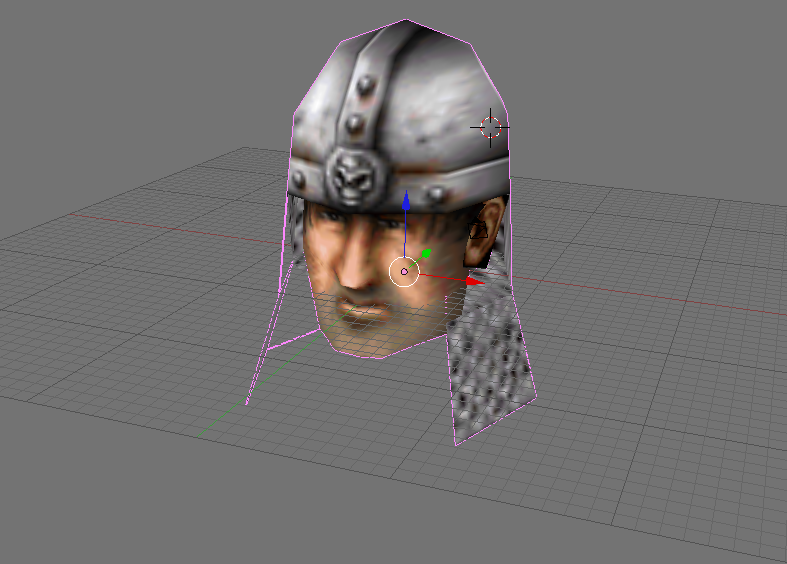 I've been messing around with the orc head mesh, and it seems to load back into DO without issue. Hoping to get a skaven head/texture thrown together, but for now here's a horrible distended Boar Boy! Thanks to recent mods we can now have additional sprites, banners and shields but could really do with adding custom heads, since we have all the 3D Call of Warhammer models. I have added a new head to the Wh32Edit .xml database and assigned it to an extra slot new sprite and copied the Elf Head.m3d (DarkElfHead.m3d) and assigned it new DarkElfHead.bmp face textures, within Blender and exported back. However, the source code engine needs to be told about the new head, so it can appear in game, as currently no new 3d portrait is displayed. Is it possible to locate the Heads Table and .dll redirect it to a new custom lookup table perhaps? can you explain it like I'm five? How would one overwrite Bernhardt's head with a custom one? Using the Call of Warhammer 3D models of say the Giant, I would export the Giant's Head in Blender as 2.m3d and the top half of his body as 13.m3d with its own unique textures saved as MB_BODY.bmp and mb_head.bmp . Then when Dark Omen calls those models for Morgan it should show a Giant. However, I imagine the hard part will be to find where and how the engine knows to call those models for Morgan Bernhardt. If we can locate that list or table of heads and bodies, then we could possible add to the list rather than overwrite. I am currently learning & searching for "Portraits" functions with IDA. .text:004018F8 mov dword_501500[edx*8], ecx ; Loaded_Portrait_Array? which probably means the next function that is called ( sub_401E36 ) loads the portraits? right now, I'm wondering how the hard-coded SpriteTable[slot].loaded_index plays into it. the first new entry (0x3F) == XSLOT 00, etc. Many thanks Aqrit, this will be fantastic to finally have new 3D heads and great idea to add the FullScreen Reg Option. So will continue trying to add new Head block of data at end of Heads.DB for the new xslot Giant portrait to use. Eternal thanks again Aqrit, having new 3d heads is going to be amazing. We can now use all the Call of Warhammer (&possibly the Sundering mod) 3d models for new sprites and 3d heads for the meeting/talking cut scenes and in game Portraits. 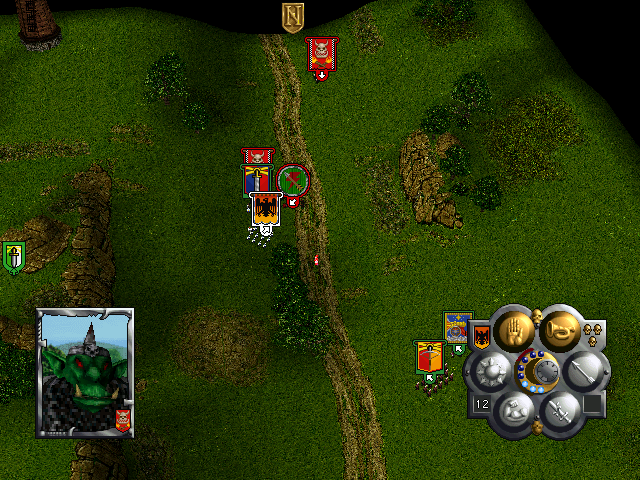 A real shared dream come true - totally new Warhammer armies on new maps with new campaigns. It's finally here! Massive thanks to you all!